Bill’s sudden death left behind 4 very small beautiful children. 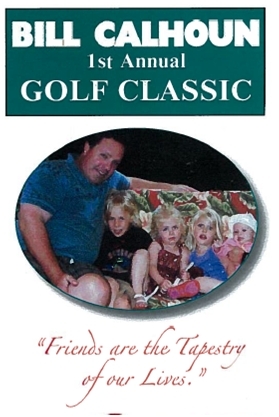 All net proceeds from this tournament will benefit www.unclebilly.org. a fund established for his children through Ford & Paulekas, Trustee. Contact Karl Cicitto at 860-241-6323, cicitto@courant.com, or Skip Marsh at 860-241-3731, smarsh@courant.com.